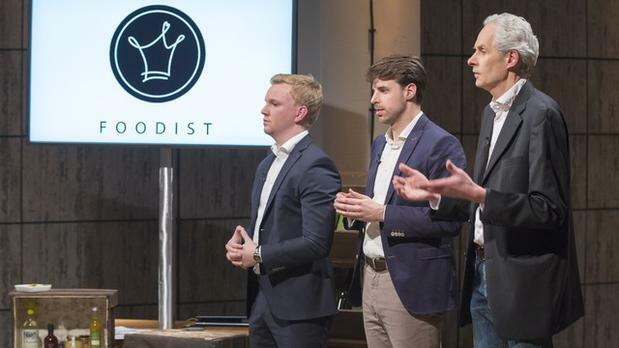 Yesterday, Foodist appeared on the German TV show "Die Höhle der Löwen" (Shark Tank), in which company founders present their concept to a high-quality jury of experienced founders and investors and to an audience of several million people. If the judges are convinced by a concept, they invest in the respective company. Read in this interview with Foodist founders Alex Djordjevic, Ole Schaumberg, and Andreas Brand how the judges reacted to the Foodist concept and which consequences their reaction will have for Foodist. Each month, Foodist sends an exclusive selection of high-quality international delicacies to its customers for € 24 (including shipping). Thus, subscribers of the Foodist box are surprised by a selection of delicacies each month and discover exclusive gourmet products. The products in the Foodist box are worth at least more than € 30. "Die Höhle der Löwen" has been broadcast by the German TV station VOX each Tuesday at 8:15 p.m. since 19 August 2014, has regularly achieved high ratings, and was watched by 2 million people on 7 October 2014. Trailer of the VOX TV Show "Die Höhle der Löwen"
Ahoy, Alex, Ole, and Andreas! How did you become aware of the show "Die Höhle der Löwen"? The production company Sony Pictures discovered Foodist on the Companisto website while searching for suitable start-ups for the show and then contacted us. Two weeks later, we recorded a casting video in our office, which was shown to the TV station (VOX). What did you expect of the show and why did you want to pitch your concept there? Back then, in January 2014, we were still considering various options for our second financing round and thought the TV show could be an option of receiving funding from an experienced investor. Because of the successful American and British shows Shark Tank and Dragons' Den, we could be sure that the show would be produced in a professional way and that the investors would treat the candidates respectfully. Also, we thought the opportunity to present our idea of a monthly gourmet surprise box to an audience of several million people was very appealing. One could say that you are pitching experts because you had already convinced hundreds of Companists before "Die Höhle der Löwen." However, a live pitch in front of such a jury is still something else. Were you able to prepare for this challenge? As this was the first season of the show in Germany, there was no previous experience we could draw on. We have indeed pitched our product to Companists, business angels, and venture capital companies and know which additional questions professional investors tend to ask. Still, giving a presentation to 5 investors in a studio that we were not allowed to enter in advance while facing 14 cameras was new to us. The experience we had gained while producing two short films for Companisto certainly helped us, yet we were very nervous when we were about to enter the studio. Unlike a video pitch for Companisto, our entire appearance on the show was recorded within one day. 2 million people watched this episode of the show. Can you already tell in how far you have benefited from the show? Did you notice an increase in traffic on your website during and after the broadcast? Have you attracted additional subscribers? Did your servers survive the run? Since we did not appear until the last episode of the first season, we were able to profit from reports by other online start-ups, for instance by "Meine-Spielzeugkiste." We were warned that up to 28,000 people might use our website simultaneously, so we changed our server capacity and site complexity accordingly. Even though we had been warned, our servers broke down because there were 250,000 site users one hour after the broadcast. Within the first 12 hours after the broadcast, we sold 1,700 new Foodist box subscriptions and received numerous interview requests. Also, many manufacturers contacted us because they want to present their products through the Foodist box. In the show, the judges made you an offer. You rejected this offer. Please tell us briefly what this deal looked like and why you decided not to accept it. Initially, we offered the judges 5 % of our company shares in return for an investment of € 125,000. This would have resulted in a company valuation of € 2,500,000. The two judges Frank Thelen and Lencke Wischhusen, however, demanded 25 % of the shares for the same investment, so the company valuation of Foodist would have been € 500,000. In retrospect, this offer was relatively "generous" compared to the offers other companies received on the show. Ever since we founded our company, we have experienced constant and rapid growth and sufficient liquidity, so there was no need to accept an offer that was significantly below our expectations. Apart from the offer, were you able to benefit from the judges' feedback? What did they advise you to do?